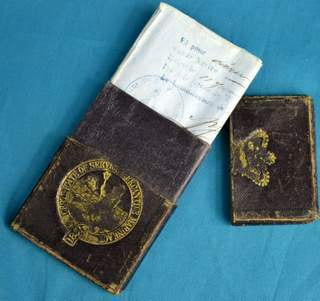 This is a passport (for foreign travels) of North Korea (People’s Korean Democratic Republic). 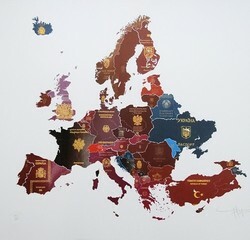 And it has pages for visas, this is main sign that this passport is for travels abroad. 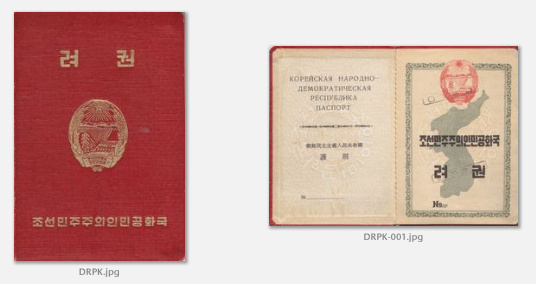 Some explanation of each page (according to Russian words printed): (2) – cover of the passport (it has coat of arms of North Korea, in modern times they have the same coat of arms) (3) – map of Korea (all peninsula !!! South Korea doesn’t exist !!!) and name of the country in Russian and Korean (4) – pages with personal information of passport’s holder (on page 2 – name, date of birth, place of birth, marital status, distinguishing marks like height, eyes, hair, accompanying children, on page 3 – date of issue, place of issue, expiry date, issuing authority, signature and seal of the authority) (5) – pages with photo and signature of the passport’s holder (on the page 4), something in Korean (I don’t know what) on the page 5 (6) – page 6: two prolongations for this passport, page 7: children which included to the passport (7) – page 10: for special marks (ОТМЕТКИ), page 11: for visas (ВИЗЫ) (8) – page 28: for visas (it has the statement in the bottom of the page that ‘This passport contains 28 numbered pages.